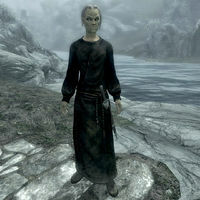 The first version (00074F83) specializes in Fire Damage, and may be Altmer, Breton, Dunmer, or Imperial. The second version (00074F84) specializes in Frost Damage, and may be Altmer, Breton, Imperial, or Nord. 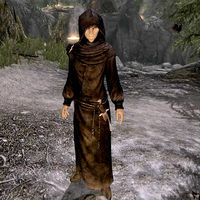 The third version (00074F85) specializes in Shock Damage, and may be Altmer, Breton, Dunmer, or Imperial. 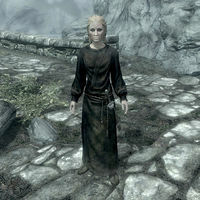 The loot is usually common loot for witches, which consists a robe, a dagger, pair of shoes and some gold.